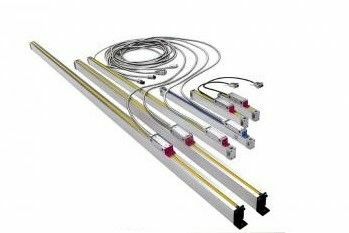 The linear transducer system is mainly used in linear movement guiding structure, it is for the accurate position reading of the linear movement. It is widely used in the machine tools and measuring instruments. Unimetro provides multiple models of the linear scales products, used in varies of machine tools or measuring machines digital retrofit. Also OEM or ODM is available. The UJ series linear scales are with 2 models, open scales and sealed scales. 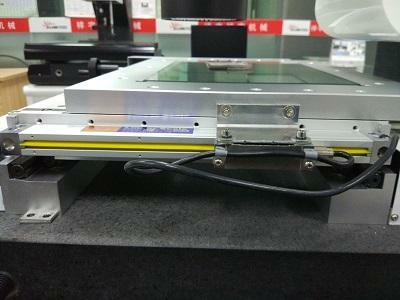 The open scale is high accuracy type, mainly used on measuring machine, the highest resolution up to 0.1um. The sealed scales are mainly used in machine tools and measuring devices, TTL signal or sin/cos signal, including thin scales, standard, and large scales. The large scales UJCXG length is up to 3100mm. Extra large scales are up to 3100mm-15000mm. Also we offers varies of accessories for users based on requirement for installation.